Also: Cambodian police break up television protest, Malaysian church attacked with Molotov cocktails. A Vietnamese banking executive and 20 of her associates were sentenced in Ho Chi Minh City yesterday in the country’s largest-ever embezzlement case. 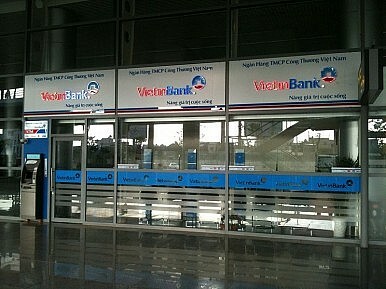 Huynh Thi Huyen Nhu, a 35-year-old former senior official at the Vietnam Joint Stock Commercial Bank for Industry and Trade (Vietinbank), was sentenced to life behind bars for taking more than $230 million “under the pretext of mobilizing capital” from two of the bank’s domestic branches. She then used the money to pay off loans for failed real estate investments, pocketing the remaining $43 million. Other banking officials named in the case, who were charged with crimes ranging from abuse of power to negligence, received prison sentences of two to 20 years. Huynh should consider herself very lucky – in November 2013, a 56-year-old banking chief and one of his business associates were sentenced to death by lethal injection for embezzling only $25 million. Also on Monday, a demonstration in front of Cambodia’s Ministry of Information turned violent when riot police used smoke grenades and electrified batons to break up a group of roughly 300 protesters. The demonstration, led by radio station owner Mam Sonando, was organized to demand a government license for an independent television station. “Other radio stations have a TV station,” Sonando, an outspoken government critic, told AFP. “Why can’t my Beehive radio station?” In Cambodia, TV licenses are often reserved for pro-government media outlets. Last week, Cambodian authorities cracked down on striking garment workers, leaving at least three protesters dead. Over in Malaysia, a church was attacked with Molotov cocktails over the use of the word “Allah” by non-Muslims. According to The Star, one Molotov exploded and another failed to ignite after landing in the grass. They were allegedly thrown by two men on a motorcycle. There are no reported injuries or arrests at press time. While 60 percent of Malaysians practice Islam, only nine percent are Christian. The premier needs to give his country a much-needed respite.